Review of Rowan: 40 Years Book + Win A Copy! 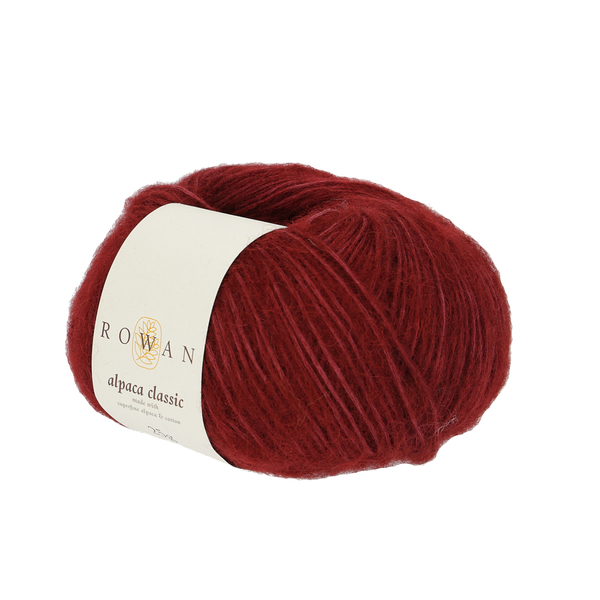 Rowan holds an iconic place in the hearts of hand knitters. Back in the day before the internet enabled entrepreneurial knitwear designers and small-scale yarn businesses to sell to a worldwide market, if you wanted wool or a pattern you went to your local yarn shop, browsed through stacks of pattern designs and bought whatever yarn they had in stock. When Rowan opened its doors in 1978, at its headquarters in Huddersfield in West Yorkshire, it brought to the fore talented young designers such as Marie Wallin, Louisa Harding and Martin Storey, and soon its own-brand yarns gained a reputation in wool shops for quality. It might not have been the cheapest yarn brand but buying Rowan meant you could rely on producing knits that would last. And then there were the colours ... in her forward to the Rowan: 40 Iconic Hand-Knit Designs book Marie Wallin remembers the first time she saw the Rowan shade card "I was smitten. It was a designer's dream - not only beautiful yarns, but available in a huge range of fabulous colours." Nowadays knitters may be more likely to turn to Ravelry rather a yarn store to choose their next project, but Rowan (now owned by German company MEZ Crafts) is still a design powerhouse, guiding the careers of new designers as well as publishing the latest patterns from classic names such as Kaffe Fassett and Sarah Hatton. To celebrate their ruby anniversary, Rowan has released the Rowan: 40 Iconic Hand-Knit Designs book containing 40 designs picked from their bi-annual Rowan Magazine. The first 20 feature the original photographs and the last 20 have been re-knitted in the company's up-to-date yarn and colour palette range and also re-photographed. None of the patterns look old-fashioned (perhaps with the exception of Powder Puff, a red, oversized polka dot jumper that definitely rocks the 80s' vibe - sadly I can't find an image of it on the internet), indeed the selection has been carefully curated to offer designs that won't be out of place in 2018 and beyond. ... and classics that look amazing but would challenge even experienced knitters, such as Kaffe Fassett's Lidiya Fair Isle dress. To see some more pattern images go to this issuu.com link. Rowan: 40 Iconic Hand-Knit Designs is hardback and works fine as a coffee table book if you don't fancy knitting any patterns. The photos are sumptuous and it's very interesting to look at the pictures of all the Rowan Magazine covers since it first was printed. Take a look at page three where you'll find a photo of a very young Kate Moss wearing a Rowan jumper, bobble hat and very little else. That reminds me of a few year's back stumbling an image of a Rowan denim pattern modelled by actor Eddie Redmayne back in in 2004 - this link will reveal all. Rowan certainly had the knack of employing stars before they were famous! The recommended retail price is £25 but shop around as different booksellers offer varying price deals. Or ... you could win my review copy! Rowan sent me a copy of Rowan: 40 Iconic Hand-Knit Designs for review (all opinions are my own). The competition is running on our Facebook page. Please do not enter via the comments box below because we don't want to fall foul of data protection laws or have you share your personal contact details with other readers. If you would like to win the book here's what to do. 1. Go to www.facebook.com/awoollyyarn and click on the 'follow' button if you haven't done so already. 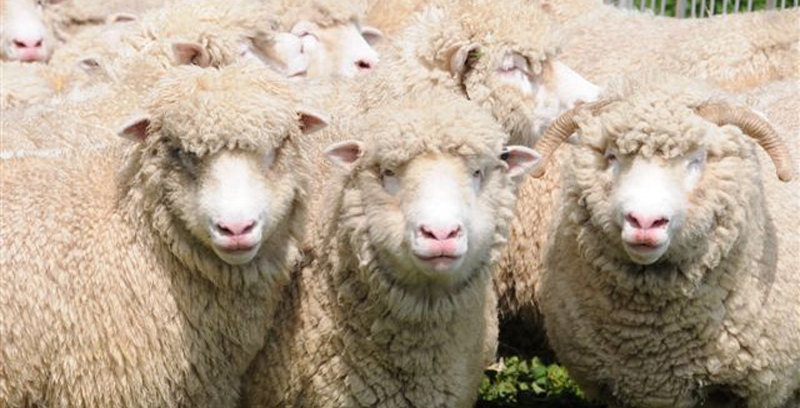 This will deliver new A Woolly Yarn Facebook posts to your news feed. If you change your mind in the future (but we hope you won't!) you can unfollow us. 2. 'Like' the post with the competition details. 3. In the comments box under the competition post tell us which is your favourite A Woolly Yarn knitting pattern book review and why (you might want to refresh your memory by having a browse at our previous posts). The competition opens at 11.59pm on Wednesday 5th September. 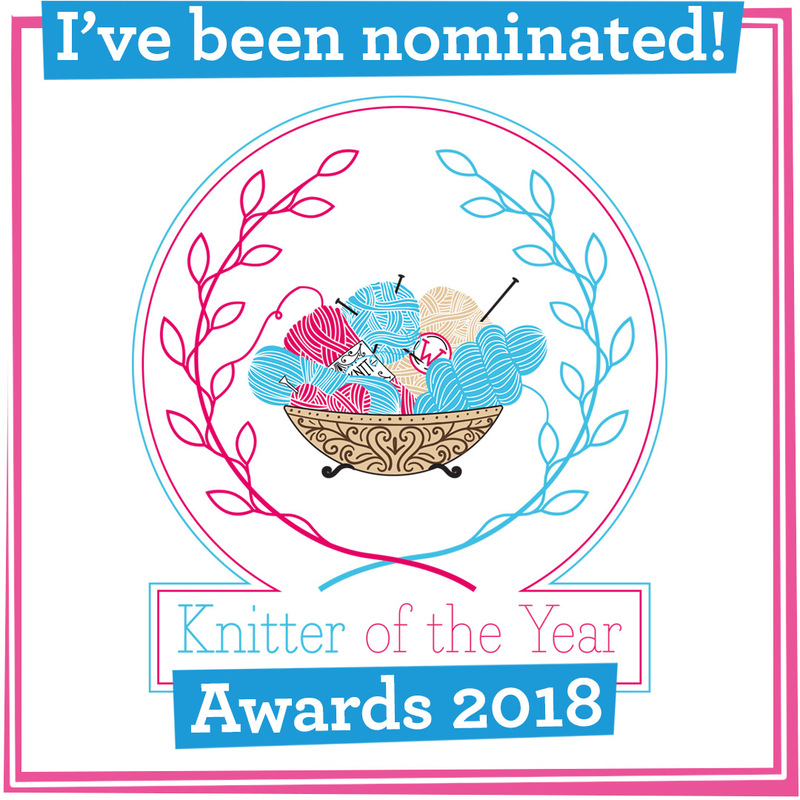 We'll announce the winner soon after and ask him/her to send a private message on Facebook to A Woolly Yarn with their postal details so they can receive their fabulous prize. Please note that due to competition law and postage costs the competition is open to UK residents only, although we would of course love to hear the opinions of our overseas readers about their their favourite A Woolly Yarn knitting pattern book review. 1. The promoter is the A Woolly Yarn blog, which has no affiliation with Rowan or Facebook. 2. The competition is open to residents of the UK aged 18 years or over. 7. Closing date for the entry will be 11.59pm on Wednesday 5th September. After this date no further entries to the competition will be counted. 9. The promoter reserves the right to cancel or amend the competition and these terms and conditions without notice in the event of a catastrophe, war, civil or military disturbance, act of God or any actual or anticipated breach of any applicable law or regulation or any other event outside of the promoter's control Any changes to the competition will be notified to entrants as soon as possible by the promoter. 10. The promoter is not responsible for inaccurate prize details supplied to any entrant by any third party connect with this competition. 11. 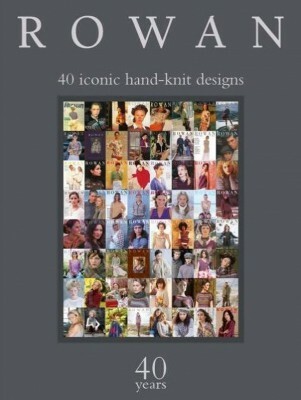 The prize is as follows: A copy of Rowan: 40 Iconic Hand-Knit Designs for one winner. The prize is as stated and no cash or other alternatives will be offered. The prize is not transferable, is subject to availability and we reserve the right to substitute the prize with another of equivalent value without giving notice. 12. The winner will be chosen within seven days of 6th September 2018. 13. The winner will be announced within seven days of the closing date on the A Woolly yarn Facebook page and will be asked to send a private Facebook message with their address details to A Woolly Yarn. These details will only be used for the purpose of posting the prize. If the winner does not claim the prize within 14 days of notification we reserve the right to withdraw the prize from the winner and pick a replacement winner. 14. The promoter will notify the winner when the prize is posted. The promoter will obtain proof of postage and is not responsible for any failure of the Royal Mail to deliver the prize. 15. The promoter's decision in respect of all matters to do with the competition will be final and no correspondence entered into. 17. 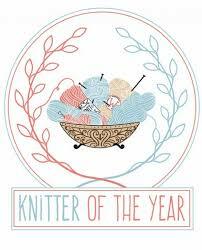 The winner agrees to their name being published on the A Woolly Yarn Facebook page and blog. Any personal details relating to the winner or any other entrants will be used solely in accordance with current UK data protection legislation and will not be disclosed to a third party without the entrant's prior consent. 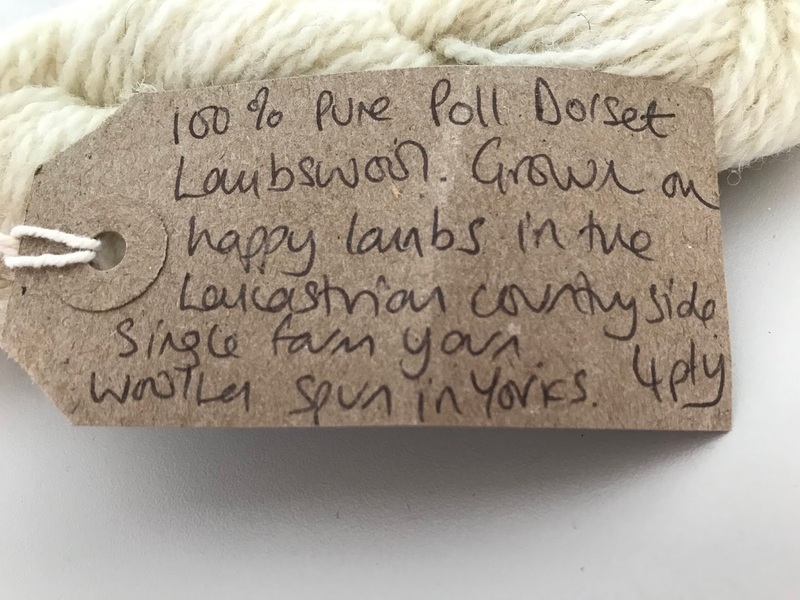 Today, to celebrate the forthcoming launch of her 2018 clip of Lancastrian Poll Dorset Wool, we have an exclusive interview with Kate Makin of Northern Yarn, who not only sells gorgeous British yarns but also supports local farmers in Lancashire. Q. Where did your love of knitting come from Kate? A. My grandma taught me to knit as a child. I used to go and stay with her in Manchester at the weekends as my parents were social workers and often worked weekends. My grandma knitted for her local wool shop and would knit tops for us all; I loved watching her busy hands, cleverly working their magic and I would be mesmerised for hours. Q. What was your first knit? A. A pink mohair glasses case for my brother (which never saw the light of day!) I came back to knitting in my twenties, I worked long hours in hostels and often had days off in the week where I could just on my bed and knit all day with an audio book on! It also helped me to stop smoking and detach myself from often quite distressing days at work. Q. How did you go about starting a knitting business? A. When we relocated from London to Lancaster several things seemed to happen all at once. My youngest was about to start nursery so I was looking for work, I had fallen in love with our new Northern abode and my county Lancashire, with its numerous fields of sheep and I was starting to see a world that I'd never been part of before - farming! Then our local wool shop closed. My sister-in-law Helen encouraged me to think about starting a business based around what I was passionate about - knitting, wool and local sheep. Q. How did you find British wool to sell? 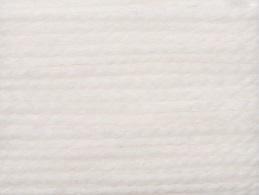 A. I googled Lancashire wool and came up with my first line - Lancashire Farm Wool produced by Kate Schofield. Kate had wool spun from sheep looking out on Morecambe Bay in Silverdale and Arnside and needed an outlet to sell her yarn. I then found Teeswater Wool in Clitheroe and before long had gathered together a small selection of locally sourced British wool. I threw a launch party in the local community centre and was thrilled that people were delighted to see proper wool, wool that had a story and provenance. A. My ethos is no plastic, no airmails, just good honest wool. We had sheep all around us with farmers that didn't get very much for their fleece. It made sense to base my business around this. I like wool that has a story, I want to know who looks after the sheep. It makes the wool so much more than something to knit or crochet with. Q. Tell us about your bricks and mortar shop. A. After working the market for 18 months I found I needed to look at an alternative. I had so many more lines I wanted to bring in but I couldn't fit any more in the car or o the stall! I was sometimes stopped by the weather but a shop was a big step. Then as if by magic I got talking to a friend who was also thinking about sharing a shop. We found 74 Penny St, Lancaster straight away on a gorgeous little street full of independent shops. Customers love the eclectic mix of wool and collectables. Q. 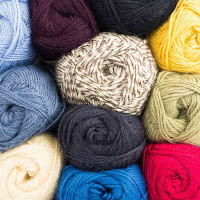 Which yarns will readers find if they pop in your shop? 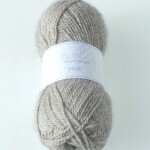 A. I have my own brand wool and have now had four breeds spun with many more in the pipeline. I also stock West Yorkshire Spinners, New Lanark, Jamiesons of Shetland, Doulton Border Leicesters, Dodgson Wood's Shear Delight, Knitting Goddess, Town End Alpacas and many more including breed-specific farm wools. Q. And your online shop www.northernyarn.co.uk? A. 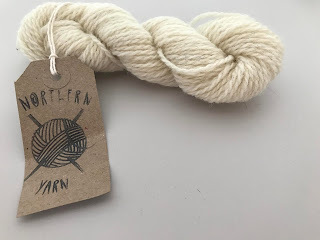 My online shop is my way to communicate with customers who don't live locally, so I try and write a regular blog post with information about new wools, farm visits etc. I have several unique lines that are not sold anywhere else and when customers buy from me they can read exactly where the wool has come from and know that they are supporting small independent businesses. Q. We love your latest yarn 100% Pure Poll Dorst Lambswool. Thanks for sample! How did the yarn come about? A. As I started my business up I immediately wondered about the possibility of having my own wool spun. I talked to a farmer mum at the school gates who kept pedigree Poll Dorsets and she invited me to the farm to meet the sheep and find out more about them. I went to watch the sheep being sheared and then a friend showed me what to look for in a fleece, checking for breaks in the staple, choosing younger fleeces - there was so much to learn. After a lot of investigation I found Halifax Spinning Mill in Goole. I drove the fleeces there and had a tour, watching wool being carded and plied above our heads! Q. Then the finished product arrived? A. Yes, a few months later I was able to squish my own pure Poll Dorset Lambswool 4ply and a DK blend of Poll Dorset and Bluefaced Leicester. It has long run out but I've now just got last year's clip back from the mill. Q. Ah - that's the clip our lovely sample is from! What have knitters made with your Dorset Lambswool? A. Winwick Mum used the lambswool the design her Easy Cable socks, Alitzah Grant designed a beautiful wrap called Fleetwood, and Wendy Peterson of YarnSub designed the shawl Northern Flurries. Q. What do you like to knit in your 'downtime'? A. My latest project was a Kate Davies Carbeth cardigan, I love almost all her designs. Karie Westermann is fabulous. I recently knitted from This Thing of Paper, which is such a beautiful book. Jane Murison (Yarnison) has a really funky collection of patterns too. The 100% Pure Poll Dorset Lambswool 4ply is crisp and springy to the touch, with a delightful slight aroma of sheep - you don't get that with acrylic! I knitted a quick stitch sample and was pleased with the definition and look when blocked. It's not itchy against the skin, has a very slight halo and would be great for knitting jumpers, scarves and hats. This year's clip of Poll Dorset Lambswool goes on sale on 8th September in the Northern Yarn shop in Lancaster to mark its first birthday. It'll be available to buy from 9th September from the Northern Yarn website. Each 100g skein will cost £12. 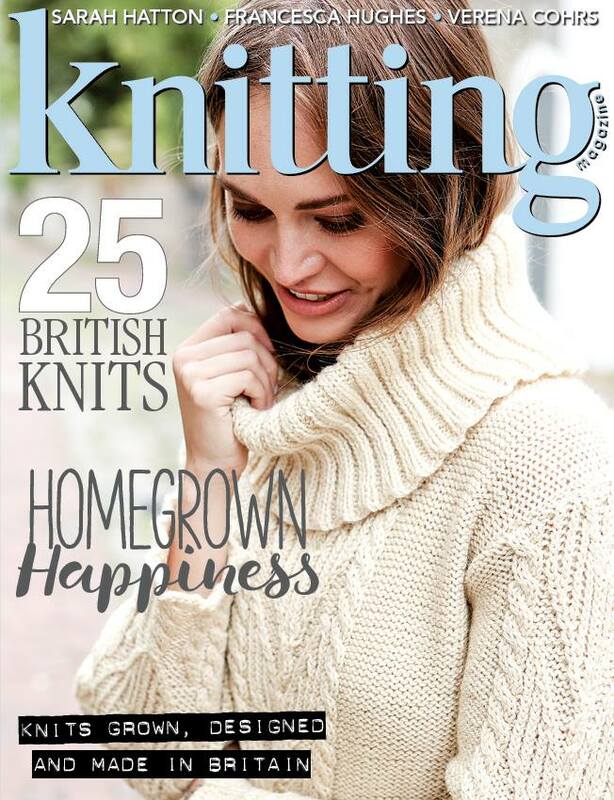 September 2018's edition of Knitting magazine is dedicated to knits grown, designed and made in Britain. As soon as I saw on the newsagent's shelf that it features 25 British knits I knew it was one to review for A Woolly Yarn readers. 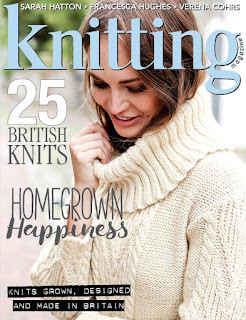 The issue costs £5.99 and, unlike other UK knitting magazines, doesn't come bagged with free gifts. The benefit of this is that you can flick through before you buy to see if there are patterns that interest you. The front of the magazine contains editorial; news (including a fun story about thrill-seeking pensioners leaving crafts to the millennial); details of knitting events; an interview with Allison Thistlewood and Rachel Brown who run the Great London Yarn Crawl; a feature on a fleece community project in Uist (there's a pattern that uses this yarn in the issue); book reviews and a yarn review which, strangely for this British issue, contains a tape yarn from Bergere De France. Most of the rest of the magazine is dedicated to full-page beautifully-photographed pictures of the issue's garments and accessories and the patterns themselves. It does feel a little counter-intuitive that the patterns are separate from the glossy photos of them but that's been the style of the magazine for a long time. The cover design, a roll-neck jumper called Rowley by Jacinta Bowie, knitted in Three Bears Yarn Bluefaced Leicester, is an eye-catcher for the colder nights that will be drawing in soon in the UK. When doing some research for the previous post on this blog, New Season = New Yarns, I came across Moel View Yarn, whose homepage at the time of my browsing featured the fancy-yoked sweater Gwanwyn by Verena Cohrs, knitted using the company's Welsh Mule DK. From all the patterns in the British issue is my personal favourite, but I think I'd choose the Madder Pink Bright shade for a little more colour oomph. Kildwick by Sarah Hatton is a classic elbow-length sleeve grey knitted jumper with some lace detailing. It's knitted with West Yorkshire Spinners' Illustrious Naturals. Shaped Hem Jumper by Jo Allport has a stocking stitch body with cabled long sleeves. Baa ram ewe's Winterburn DK in the earthy shade Muck is the yarn used. Devon Mariner by Helena Timms is a cute burnt orange fisherman's rib hat knitted in John Arbon Textiles' Devonia DK. In the magazine's photograph it looks rather like it has cats' ears! 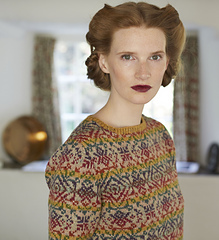 Harper by Emma Wright is a contemporary twist on a cabled jumper. There's an inverted v-shape opening at the front that shows off the model's belly button - not great for snowy days! The yarn used is Erika Knight's British Blue 100% Bluefaced Leicester. 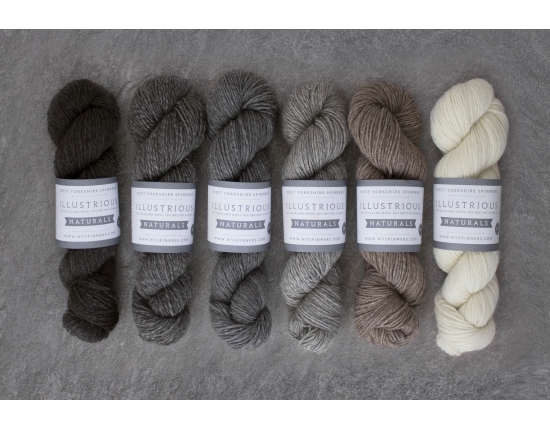 Elemental by Christine Boggis uses a combination of grey natural colours from Uist Wool. It's a wrap that looks like an oversized cowl to keep you warm on Winter days. 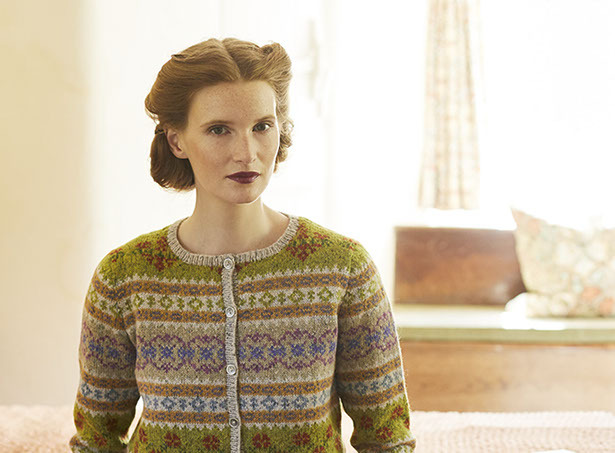 Helga by Bronagh Miskelly is a throw-on buttonless cardigan for cooler evenings. The opening edges have a pretty cable design and the cardigan is knitted using Purl Alpaca Designs Alpaca Mist Fine. Wensleydale by Sarah Hazell is knitted in Wensleydale Longwool Sheep Shop Aran. It's a grey, very long scarf with an opening that can be used as an arm or neck hole. Textured Scarf by Toft is a pattern that's already on Toft's website. 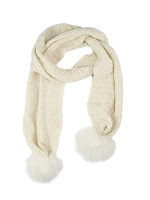 The cream scarf has funky pom poms at the end and is knitted in Toft DK. Blousey by Francesca Hughes is a v-necked buttoned-up cardigan knitted in a British wool blend hand-dyed by US indie dyer Emily Foden and sold as Viola Shadow DK. 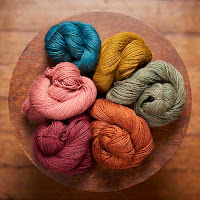 I couldn't find the yarn for sale on Viola and the Moon's website but there is a picture of it on Ravelry. Ella is a design from LoveKnitting brand Willow & Lark. 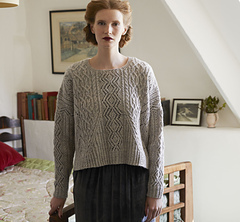 It's a cropped jumper with the back a little longer than the front, and is Knitted with their Plume yarn. It's not stated where the mohair and silk for the yarn blend were sourced. Staithes by Pat Mencini is knitted in King Cole's Majestic DK, a blend of wool, acrylic and polyamide. It's a light grey gansey-inspired textured jumper. Elody by Jo Allport is a fine lace hat knitted using Yarntelier's Cashmere Gilli in the shade Malkin. Swagger by Pat Menchini is a grey, cabled short sleeve jacket knitted using Rico Creative Soft Wool Aran in beige. I'm impressed with the breadth of yarn and price points featured in this issue, with well-known brands sitting alongside small British yarn businesses you may not have heard of. A mention in the magazine is a great opportunity for them to reach a wider audience. Some of the cheaper yarns though, may be from a British brand, but are man-made or don't contain British wool. The features are interesting to read and useful - particularly the tip on how to knit jogless stripes in the round. All in all it's great to see an international magazine championing British wool and designers. Although we've yet to reach the middle of August, yarn stores and wool companies work seasons ahead. Details of their lovely new Autumn/Winter woolly offerings to tempt us have been trickling out, with some already launched and others in the pipeline. 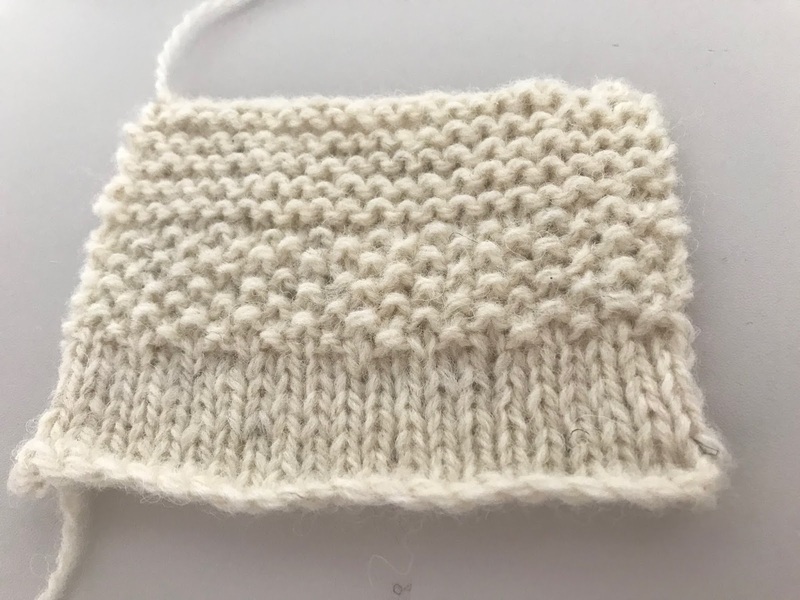 Here's what A Woolly Yarn has learned so far, although as yet we haven't managed to get our hands on samples for the all-important review and squish test! 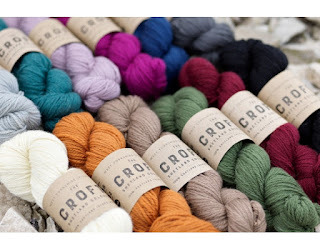 In 2017 WYS launched their 100% Shetland wool line The Croft Shetland Tweed. 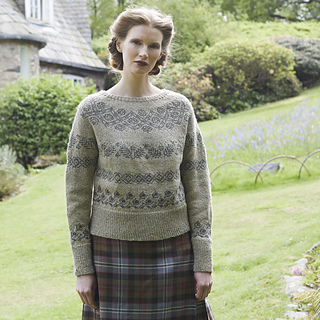 Especially for the Autumn/Winter 2018 season on August 6th the company introduced The Croft Shetland Tweed Aran colours accompanied by a pattern book designed by Sarah Hatton. There are 12 colours in the range and each 100g hank costs £8.50 plus P&P. and Limited Edition Cosy Merino, comprising 73% wool, 15% cashmere, 7% yak and 5% nylon. 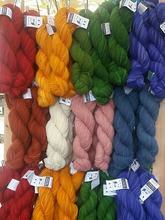 Especially for Autumn the West Yorkshire yarn store/indie dyer has brought out the Dales Collection. This DK Yorkshire-spun yarn has seven colours, each given the name - you've guessed it - of a Yorkshire Dale. The collection is already on sale. Each 100g skein costs £16 plus P&P. 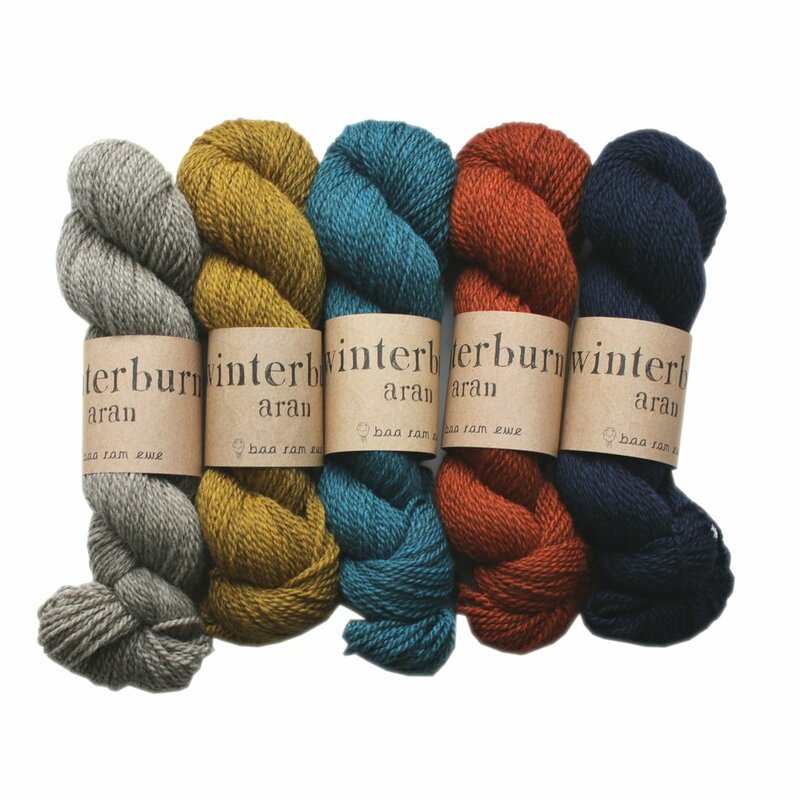 This Leeds-based company has announced that on August 16th it'll be launching it's newest Yorkshire yarn - Winterburn Aran. Baa ram ewe says "we've picked 10 of our favourite shades to start with: Brass Band, Viking, Wesley Bob, Goathland, Aire, Lotherton, Endeavour, Yorkstone, Muck an Coal - another classic palette which all combine so well together". Crawford has spent the summer revamping her own 100% British wool Excelana brand, which complements her vintage patterns. Expect lots of new colours when it launches at the end of September. This Cornish company likes to tantalise customers each year with a special limited-edition yarn to celebrate their birthday in September. Their latest e-newsletter has revealed that 2018's yarn will be "a worsted/light aran weight and very local to us both in terms of inspiration and fibre sourcing". Last year's birthday yarn was Blacker Brushwork, which quickly sold out. Will this year's mystery yarn be as popular? 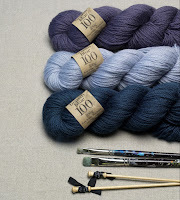 Rumour has it that Knight will launch an aran weight yarn in eight heathered colours. Wild Wool will be a blend of soft wool and natural nettle. On her website Wallin says that she will unveil her new British Breeds yarn range at Yarndale on 29th and 30th September. It will be supported by a pattern collection called Wildwood. We've got an exclusive interview lined up with Kate, owner of Lancaster-based Northern Yarn. 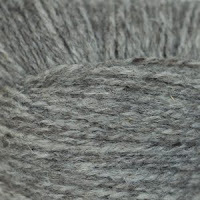 Her Lancastrian Poll Dorset yarn is currently being spun at the mill and will be available very soon. Price TBC. 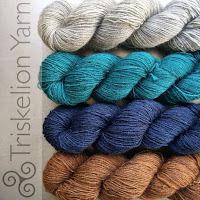 Scylfing Sock yarn is Triskelion's latest offering, available in 18 shades from today! 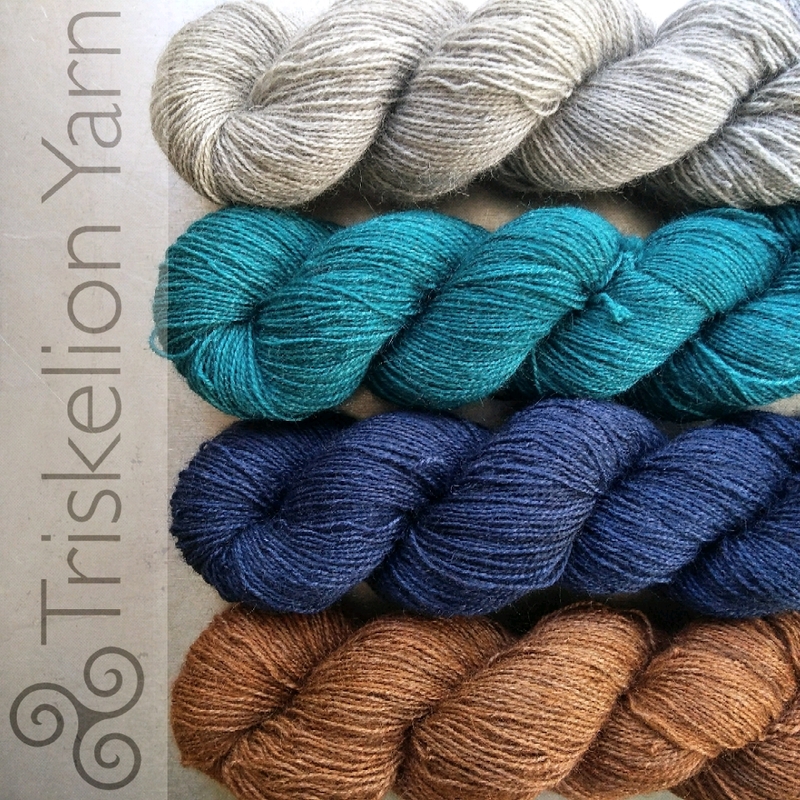 Says Triskelion, "Scylfing Sock is a blend of 50% Bluefaced Leicester, 25% Gotland and 25% Wensleydale. The fibre is from British sources, non-superwash, and the yarn is spun by Laxtons in Yorkshire." Each 100g skein costs £18 plus P&P. Want a yarn made from Shropshire fleeces? 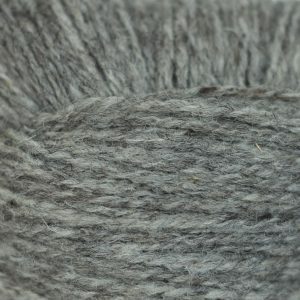 Ewe & Ply's new Shropshire Ply 2018 DK is a blend of 34% Welsh mule, 28% Shropshire, 20% Sherino (Shetland and merino), and 18% Bluefaced Leicester. The yarn comes in eight colours and each 50g hank costs £6 plus P&P. 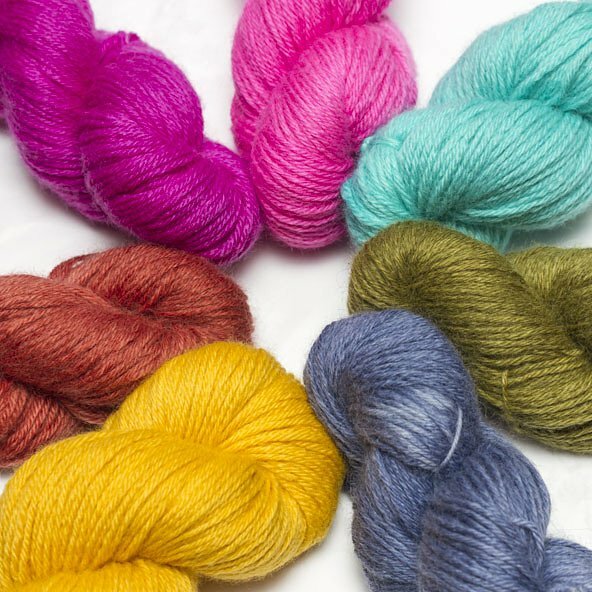 Do you know about any new season British yarn launches we haven't covered? Please tell us via the comments section below or on our Facebook page. 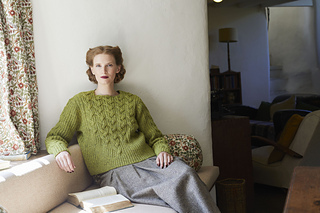 New jumper and cardigan patterns from Marie Wallin make me long for colder weather, not only to knit them up (it's a bit too hot in the current English scorching weather to knit with wool) but also wear these gorgeous creations. The photography in Wallin's pattern books always gives me serious lifestyle envy and Bloomsbury, shot at Stoneywell Arts and Crafts Cottage in Leicestershire, is no different. The vintage setting is an ideal backdrop to the garments whose designs were inspired by the Bloomsbury group of artists and writers who defined a new era in art and literature at the turn of the twentieth century. colour work patterns rather daunting to knit for those with only a little practice with the skill. 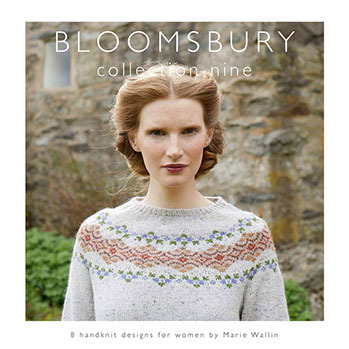 In fact Bloomsbury, Wallin's ninth collection as an independent designer since she left Rowan, has a good balance of classic designs both for Fair Isle novices and aficionados. When my colour work skills are up to standard I'd love to knit Vanessa, an intricately and delicately patterned cardigan with on-trend bracelet sleeves that is both classic but on-trend for Autumn 2018. (As an aside I recently received an email from fashion brand Toast informing me that Fair Isle jumpers are key pieces for the forthcoming season. No disrespect to Toast but Wallin's Fair Isle designs from Bloomsbury and her Shetland collection are far more attractive than their jumpers and the cost of the wool to knit them is cheaper than Toast's ready-to-wear price). One drawback I've noticed before with Wallin's books, tiny black and white cable and Fair Isle charts, looks to have been rectified. In Bloomsbury she writes that the small, quite difficult to read charts are due to printing restrictions. If you've bought a paper copy only you can email Wallin to request a PDF version too and then print out the charts at your desired magnitude. Angelica: a stranded colourwork sweater in two colours with a relatively cropped body and no waist shaping. 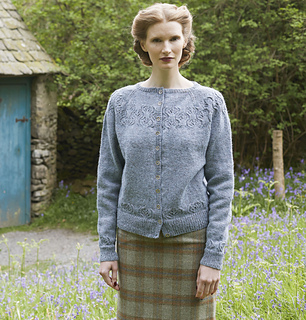 Frances: a pretty one-colour cardigan knitted in the shade Duck Egg. Involves steeking. Virginia: a traditional long-length cardigan shape in autumnal hues. Lydia: a short sleeve pullover with intricate patterns. Vita: one-shade loose-fitted jumper with detailed cabling. The yarn used is the shade Clay. Rosamund: unfitted jumper knitted in the shade Avacado and using cabling patterns. 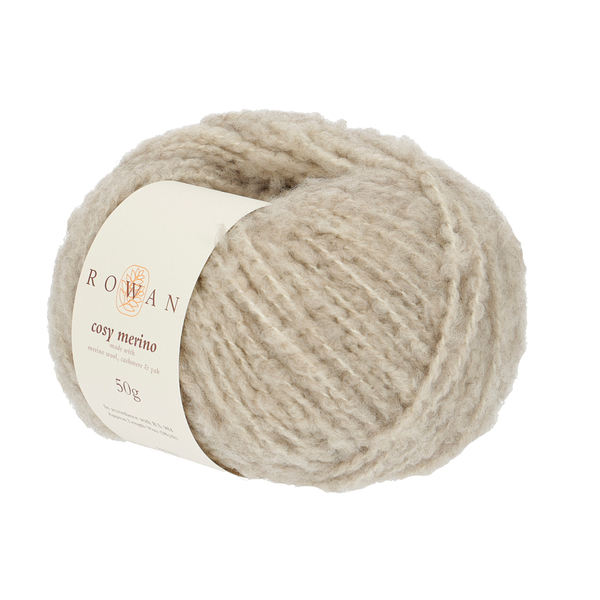 Yarn: All the patterns use Rowan's Felted Tweed. 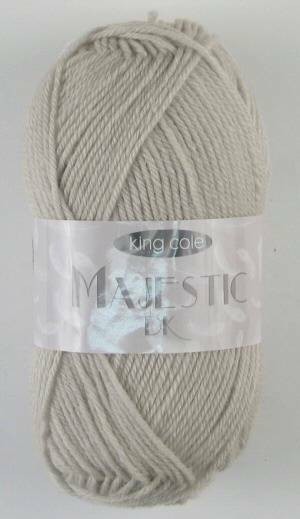 This blend of 50% merino wool, 25% alpaca and 25% viscose comes in a whopping 39 shades - note though that the yarn does not say it's made from British wool. A quick search of online knitting stores showed that each 50g ball costs between £6.90 and £7.60 plus P&P depending on the stockist and whether they have any discounts running when you buy. Unfortunately sometimes a few errors slip through the proofreading process. Wallin has an errata page on her website listing those that have been discovered in Bloomsbury - currently in Frances, Vita, Vanessa and Anglica (scroll down to the bottom of the page). The corrected charts can be printed off. Buy Bloomsbury directly from Marie Wallin's website for £14.99 plus P&P. Do let me know in the comments below or on A Woolly Yarn's Facebook page which of the pattern's you'd like to cast on first. I'm gathering information about some very exciting new British yarn launches for the Autumn/Winter 2018/19 season. Watch this space and follow A Woolly Yarn on Facebook in readiness for the big reveal! I'm a freelance journalist and keen knitter. My travel, craft and book reviews have been published in many magazines and websites and I am a frequent feature and column contributor to The Knitter magazine. 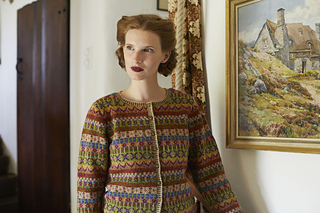 I'm always interested in discovering new British knitting designers and 100% British yarns. If you'd like to commission me to write a feature or send me a book, yarn or pattern to review on awoollyyarn.co.uk please email me at penjenkins@gmail.com.